Mercer Island is a city and an island situated in the middle of Lake Washington, connected to Seattle and Bellevue by the I-90 floating bridges. It offers some of the most highly prized real estate around. While the majority of the island is quiet, residential and heavily wooded, it also hosts a district with retail, shopping and dining, along with a number of condominium buildings. 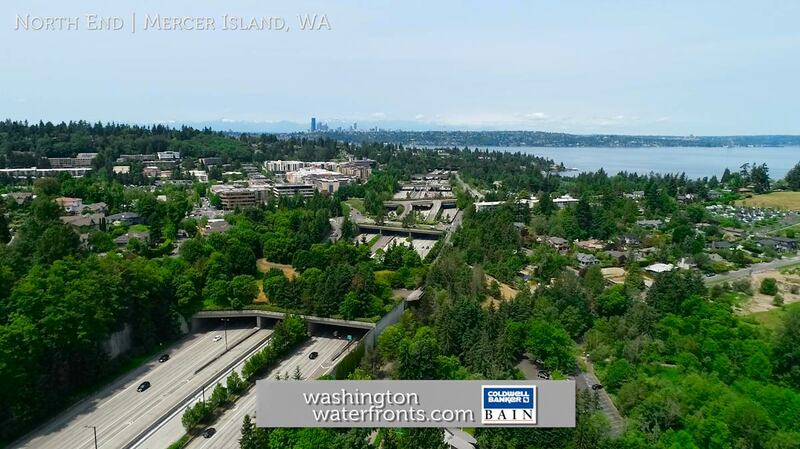 With its immaculate parks, stunning panoramic views and the ideal location just minutes from both Seattle and Bellevue, Mercer Island waterfront real estate is truly some of the most extraordinary in the entire state, if not the nation. Mercer Island waterfront homeowners enjoy easy access to big city amenities like world-class restaurants and upscale shopping, along with a wealth of museums, art galleries and cultural attractions, all while being surrounded by some of the best Mother Nature has to offer. In addition to water activities that can be accessed right from your door, Luther Burbank Park on the north part of the island offers public docks and views of Medina and Bellevue, while Pioneer Park is a nature preserve and a nexus for miles of trails, with horse stables located just south available for riding lessons. This urban oasis has an identify all its own, a place where prospective Mercer Island real estate buyers can purchase the ultimate multi-million-dollar waterfront home along the island’s miles of pristine shoreline. Choose a waterfront home closer to the north end for easy access to shops and dining, or one on the southern end for more solitude. In the most sought-after neighborhood on the southern tip of the island, you can look forward to soaking up some of the most amazing views around, of both Lake Washington and Mount Rainier. No matter where you choose to call home on Mercer Island, you’ll be enjoying the best of both worlds, with top-notch urban amenities and an idyllic setting to come home to, for the ultimate in Lake Washington waterfront living. Take advantage of our industry-leading tools to make your property search as easy as possible and be sure to register for a FREE account so that you can receive email alerts whenever new Mercer Island waterfront real estate for sale hits the market. If you're seeking to sell your Mercer Island waterfront property, contact our Waterfront Specialists directly for a comprehensive listing analysis and to learn more about the cutting-edge marketing strategies we'll use to sell your home quickly for top dollar!